USA defeated Europe 11-7 to win the 2009 Mosconi Cup. The US team was in front all the way, leading 4-1 after the opening day, 7-2 after the second and 9-5 after the third. 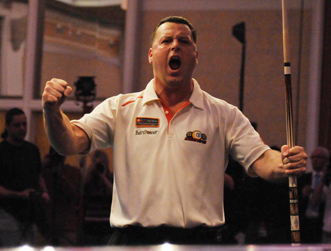 On Sunday Shane Van Boening sealed the deal by defeating Ralf Souquet (Germany) 6-2. Europe was heavy favorites coming into the event with two straight wins and a team packed with world champions. USA now have 12 wins in total to Europe's 4. The event took place from December 10-13 at the MGM Grand Hotel and Casino, Las Vegas, USA. Matches were singles, scotch doubles and scotch quintuples with alternate break. Next year's Cup will be held in Europe.